New to 2018 - Power Maths! 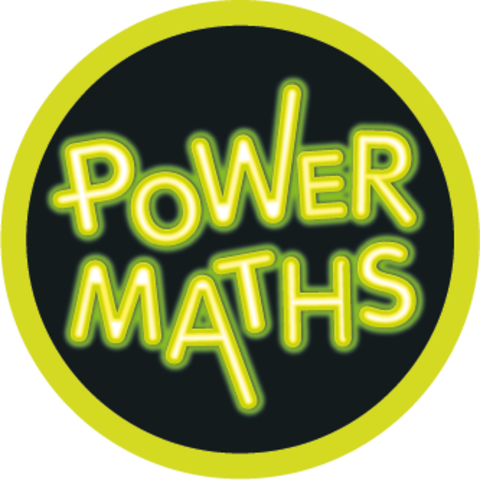 Power Maths is our new, exciting scheme which is used in Years One to Six. It is a whole class approach which aims to make learning fun and create connections between concepts, allowing children to explore their learning and master new ideas with a deep understanding. Meet some of our Power Maths characters! These characters help us to understand new methods and can be found in every year group's text books. Each character has a specific skill or personality that can help us when learning maths. The children have been working hard to learn their names and use their ideas to support their reasoning in class. At Holden Clough, we strive for our children to be successful and proficient mathematicians. Maths is a life skill – we use it all the time for example when we are baking, when shopping, whilst driving and when solving problems. We use maths when we are drawing, when building, whilst waiting for the bus and when going on holiday. We even use maths when we don’t even realise it. To be successful in Maths, we recognise that pupils need to develop their conceptual understanding. In other words, pupils don’t only need to be able to recall facts quickly, they also need to be able to apply their knowledge in a range of different contexts, including those that are new and unfamiliar. Concrete is the ‘doing’ stage, using concrete objects to solve problems. It brings concepts to life by allowing children to handle physical objects themselves. Pictorial is the ‘seeing’ stage, using representations of the objects involved in maths problems. This stage encourages children to make a mental connection between the physical object and abstract levels of understanding, by drawing or looking at pictures, circles, diagrams or models which represent the objects in the problem. Abstract is the ‘symbolic’ stage, where children are able to use abstract symbols to model and solve maths problems. 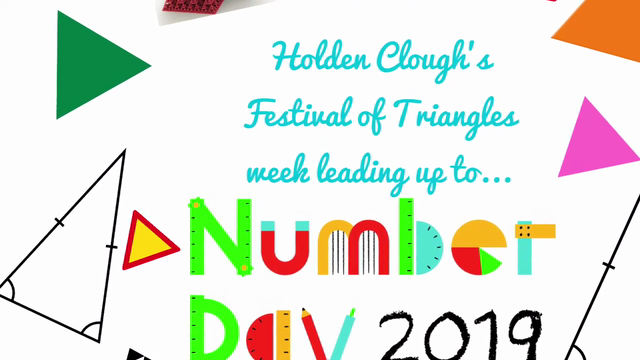 Festival of Triangles leading up to Number Day 2019! 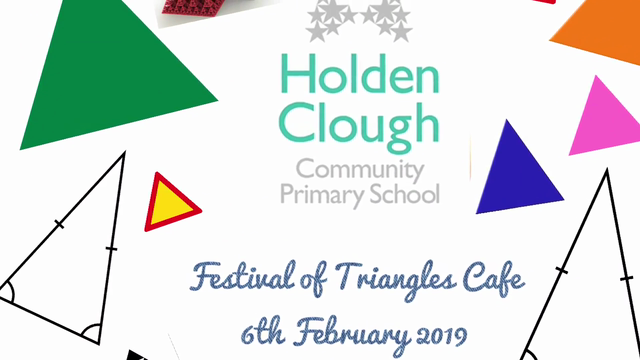 A snippet of the fantastic week we had celebrating Festival of Triangles and Number day 2019 supporting the NSPCC. During our Festival of Triangles week, parents and students were invited to our Maths Cafe where there were lots of fun activities going on. We are raising the profile of mathematics at school so children find more enjoyment in the subject! Thank you to all who were involved in helping. Do you have a question or query about Maths at Holden Clough? Need help with any calculation methods? In a recent press release, The Department for Education stated that the south Asian ‘mastery’ approach to teaching maths is set to become a standard fixture in England’s primary schools. Maths mastery involves children being taught as a whole class, building depth of understanding of the structure of maths, supported by the use of high-quality textbooks. Holden Clough introduced and experimented with the shanghai approach to teaching Maths in 2017 and is currently in the process of exploring and perfecting this way of teaching. The recent evaluation of the text book project can be found here. We are working closely with the North West Maths Hub to support us in this move to teaching for mastery and have just begun a very exciting journey! Dr. Yeap Ban Har gives an overview of Singapore Math®. •become fluent in the fundamentals of mathematics, including through varied and frequent practice with increasingly complex problems over time, so that pupils develop conceptual understanding and the ability to recall and apply knowledge rapidly and accurately. •reason mathematically by following a line of enquiry, conjecturing relationships and generalisations, and developing an argument, justification or proof using mathematical language. •can solve problems by applying their mathematics to a variety of routine and non-routine problems with increasing sophistication, including breaking down problems into a series of simpler steps and persevering in seeking solutions. with their maths at home. 2 children should select ‘stage 2’. At Holden Clough, we realise the need for children to be fluent in timestables and related division facts, especially given the fact that in 2020, the Government will start testing children in Year 4 based upon this. Therefore, as a school we have invested heavily in the app 'Times Tables Rockstars' which sets about improving fluency and recall of times tables. Each child has their own login, and teachers can set targeted times tables for children to practice. Your child is using Mathletics as part of their mathematics program at school. Mathletics is a targeted, rewarding and captivating online learning resource, which is aligned to curriculum standards. Your child has take-home access to Mathletics – they simply sign in with their school username and password using any compatible computer or mobile device. The extra Mathletics practice at home can make all the difference to your child’s progress. Encourage them to achieve a weekly target of 1000 points to earn a certificate, building through bronze, silver and gold across the school year. Go for gold! 3 Look out for a weekly progress email in your inbox at the beginning of each week.